Plumbing is one area of the home that requires routine maintenance. People do not realize how much stress they put their plumbing system under until something goes wrong. An abnormal gurgling noise coming from your bathtub, or a rancid odor can signal that there are clogged drains somewhere in the home. There are three reasons why pipes become clogged. 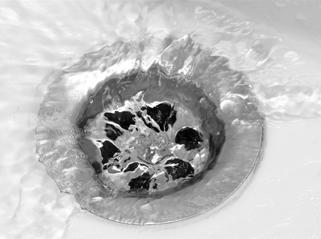 The number one reason for a clogged drain is a trapped foreign object. Hair, soap residue, and fatty deposits from food contribute to clogs. Overtime, a small buildup can turn into a massive one. As time progresses, the buildup will continue to accumulate, blocking water flow through the piping system. Broken pipes can cause water to cease its proper flow. The broken pipes can swell, which will cause the pipe to burst, if it is not rectified immediately. Broken piping occurs because of improper pipe installation, tree roots, and age. If a blockage occurs due to a broken pipe, diagnosing the issue can be daunting. A Clogged Drains in Gilbert service should be called to investigate the issue. Once the issue has been diagnosed, the professional plumbing service will provide a quote to the homeowner to fix the issue. Gravity allows water to drain properly. If the piping system in your residence was improperly set up, debris will enter your piping system. When debris enters the piping system, this will cause a clog in the pipes. The only way to ensure that water is flowing correctly through the plumbing system in your residence, is to have the piping system installed correctly. Clogged Drains in Gilbert can be cumbersome. Homeowners rely on their piping systems to work correctly. If a clog does occur, it is vital to identify the cause. Once the cause of the blockage has been identified, a drain cleaning service should be employed to rectify the problem.